Back to School Sale and a Big Giveaway!! 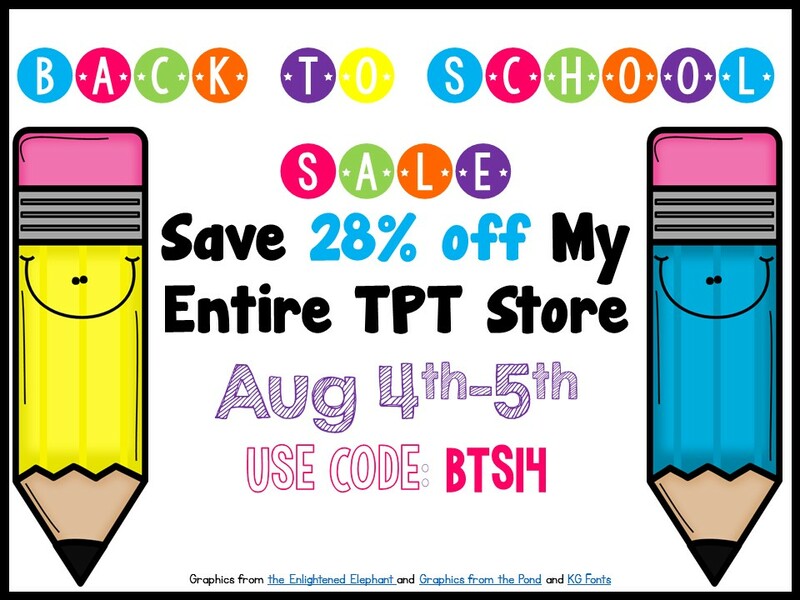 But before I go I just wanted to pop in and make sure everyone knows about the huge BTS sale happening at TPT on Monday and Tuesday. To celebrate I have gotten together with some of my very best blogging friends to show you some of our most wish-listed items, what we are buying and offer you a chance to win 1 of 3 $25 TPT Gift Certificates. 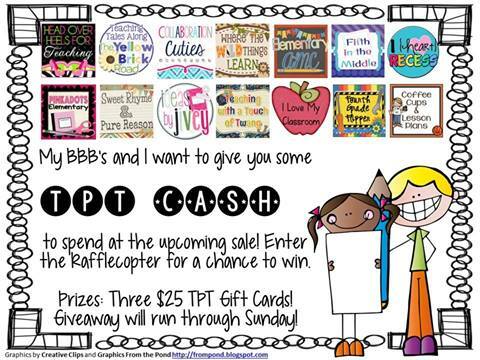 I would love $25 to spend at TPT - that would get me about 1/10 of my current wishlist!!! My Writing Goals chart - this is an editable file so you can add your own goals, make individual goals for students and feedback sheets. I also have a Reading Goals chart. Or you can get both in a bundle here. I love this book and I love this unit, persuasive letter writing is my favourite. I also have this unit bundled with my Elf Applications Persuasive Letter Writing and Easter Bunny's Assistant Persuasive Letter Writing units - I think the bundle is the way to go - did I mention that I love persuasive letter writing. So enter to win, stop by the other blogs to get some shopping ideas and don't forget to use the code BTS14 when you are shopping! !